The aim of Guidance and Counseling cell is to provide comprehensive guidance programs and services that will equip students with necessary knowledge, attitude and skills to become mature and socially responsible individuals. It aims to promote a just and humane society. This is the motto of the Guidance & counseling cell which functions as a part of Student Support Service (SSS) for student retention. The cell nurtures students through different activities and allows students to cross hurdles in the academic year thereby marching smoothly towards success. Apart from this, it helps the students to overcome class, social, and cultural barriers to complete their college education. The Guidance and Counseling Committee is looked after by a teaching faculty. Apart from the main in charge the other faculty members take up specific roles in the activities conducted. The committee identifies students who require services on priority along with their areas of deficiency and suggests the improvement required. The students once identified, are given academic as well as personal counseling. Nurturing through the remedial teaching program. Mentoring through an individual counseling. Provide various comprehensive psychological services to students and resolve their emotional, behavioral, academic, and social issues. Planning and implementing career guidance program in different school. Offering counseling in the area of psychology and career guidance on request basis. The counseling cell functions in coordination with the placement cell in order to solve the career guidance related problems. Yoga is for physical fitness but including this it is also for Mental and Inner peace. 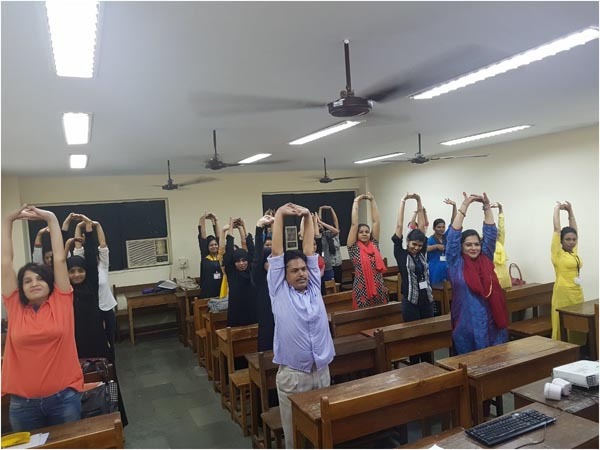 Yoga is also known for healing inner wounds of human beings and this for the reason RCOED organized stress management workshop for student-teachers is the workshop of yoga which was conducted over the period of 8 weeks. First day of the session comprised of an orientation and warm up exercise. 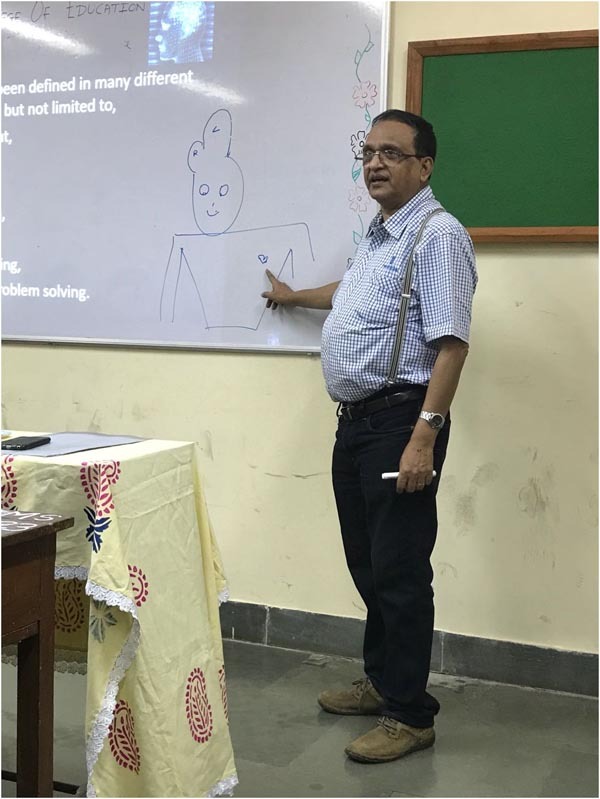 Orientation was the backbone of the session because it gave the student-teachers the real picture of what exactly the stress is and why it is important to manage it on a right time It also showed them that how one can handle them with asana. Simple to complex asanas like Tadasana, Trikonasana, Dhanurasana, Kapalbhati were taught to us along with their right form and importance. 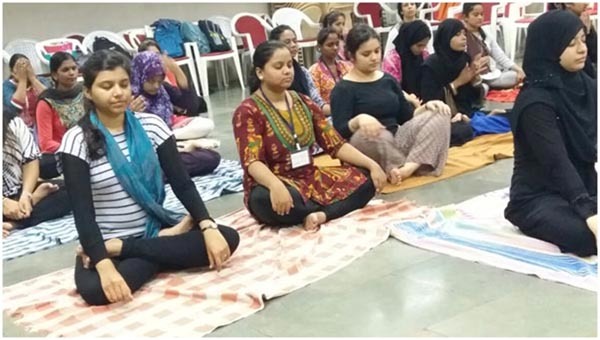 These asanas really help the student-teachers to manage their stress. 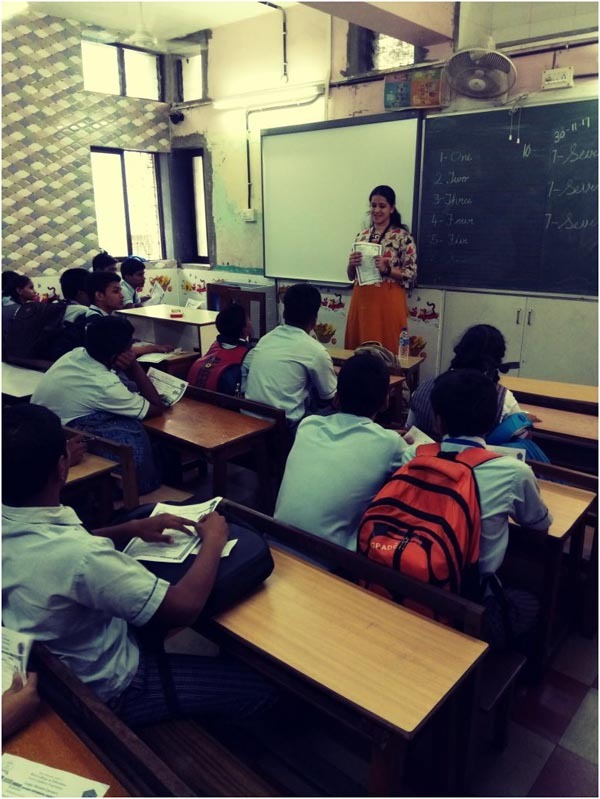 These sessions were conducted by Dr. Priyanka Pandey and Mr. Gyanprakash Arya. 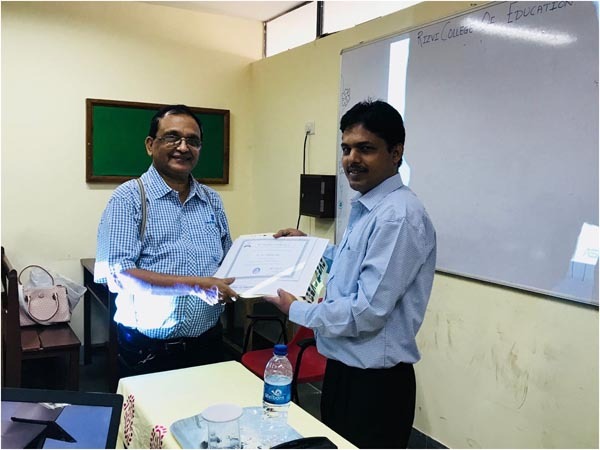 All the sessions were conducted within the RCOED premises and the faculties in-charge ensured that each student got their form and position correct. 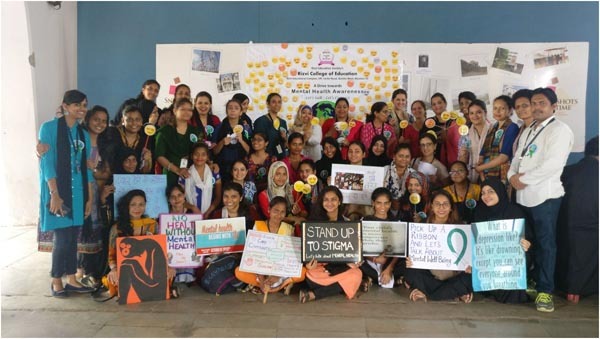 Rizvi College of Education had organized a drive towards Mental Health Awareness at Bandra Station. The drive started at 09:30am with the student teachers displaying the placards which were prepared by them reflecting theme i.e. Mental Health Awareness. The placards built curiosity amongst the commuters to enquire about the drive. They then approached the student-teachers for the same. The student teachers then briefed them about the drive and led them towards the second activity. 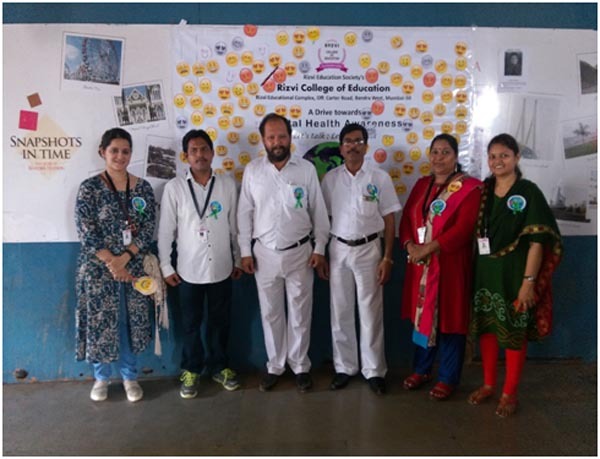 The second activity was that the commuters had to select an emoji from the six emojis displayed by the student teacher to express their mood. Once the emoji was selected the commuters then had to stick that emoji on the flex banner which was displayed at a wall. Most of the commuters selected the happy and love mood. At the end of this activity each commuter was given a mental health awareness badge and if he/she wanted further counseling then they were sent for next activity. The last activity was carried on by Dr. Priyanka Pandey. She is a faculty at RCOED and an in-house psychologist. People who needed help with their stress were given face stress test. After the stress test, Dr. Priyanka analyzed it and counseled them. This was a really helpful activity for the commuters because it lowered their stress. The awareness program was a success and a great learning experience. Emotional intelligence (EI) is the capability of individuals to recognize their own emotions and those of others, discern between different feelings and label them appropriately, use emotional information to guide thinking and behavior, and manage and/or adjust emotions to adapt to environments or achieve one’s goal(s). Emotional Intelligence is a part of the Core Paper- Childhood and Growing up for First Year B.Ed. students. This workshop was conducted by Dr. Fr. Clifton Lobo who is an expert in this area. A career guidance programme was organised by the faculties and student-teachers of S.Y.B.Ed. at Air India Modern School to guide the Xth Grade students about the importance of their decision and helping them make the right choice. 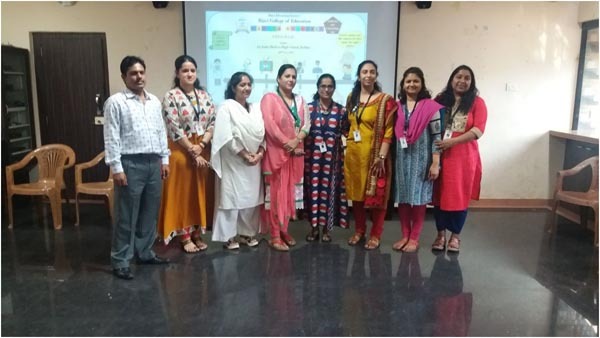 It was a three-hour session where the programmed was inaugurated by the Principal of Air India Modern School, Mrs. Kalpana Pawar and principal of RCOED, Dr. Radhika Vakharia. Both in turn, explained the importance of making the right career choices. 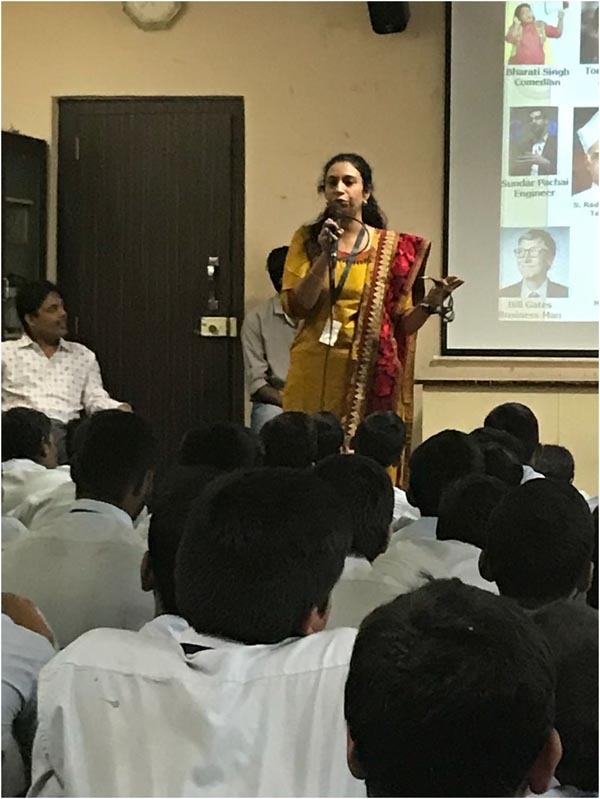 Next, Dr. Priyanka Pandey, faculty and psychologist of RCOED spoke about the Multiple Intelligence and the careers related to each of the eight intelligence fields. 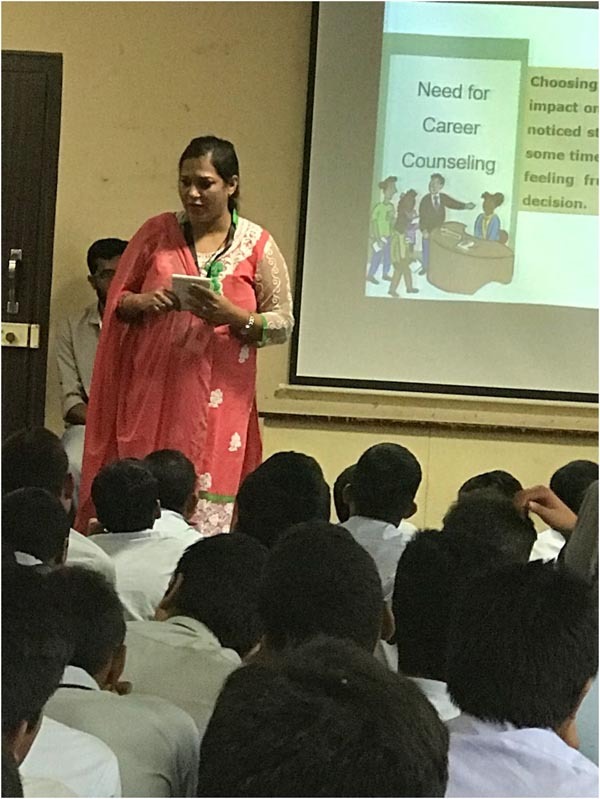 Session was concluded by Mrs. Spoty, our Guidance and Counselling expert, where she discussed various career options and their requirements. School students were then made to undertake a Multiple Intelligence Test which was devised by Dr. Priyanka herself and based on their scores, they were directed to special career corners which was handled by a S.Y.B.Ed student-teachers along with a faculty in-charge. 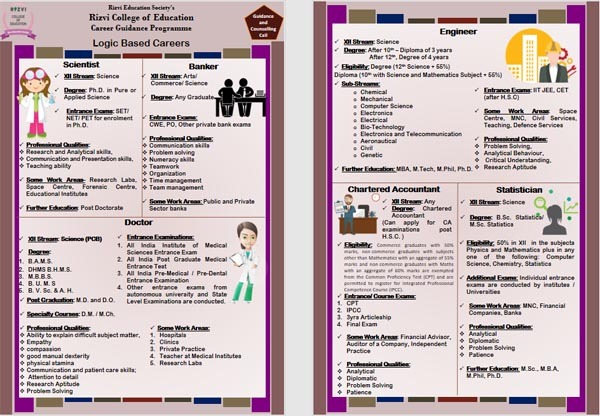 Each career corner was catering to a different Intelligence field and special pamphlets, designed by Mrs. Pooja Manghirmalani-Mishra, were given to students at each corner accompanied by a small talk and one-to-one counselling. The overall management, allocation of duties and making the set-up ready was taken care by Mrs, Nahida Mandviwala and Mr. Gyanprakash Arya. Mrs. Rakhi Sawlane and Dr. Asha ensured discipline during the session. Overall, it was a very successful programme with a lot of positive response and feedback from the Air India Modern School teachers and students.